Also contains: Sorbitol, cellulose, water-soluble cellulose, hydroxypropyl cellulose, vegetable stearic acid, titanium dioxide, silica. 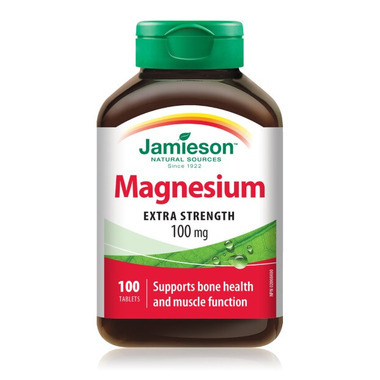 Warning: Excess magnesium may cause diarrhea, nausea, and stomach cramps. Individuals who have difficulty processing high doses of magnesium could develop muscle weakness, confusion, or lethargy. Consult a health care practitioner prior to use if you are pregnant or breast-feeding. Great, helps with muscle pain & very competive price. Since using this product I am sleeping a lot better! Price is excellent. My husband and I both take this to help with our sleep. The bonus is that it's also good for your bones. I find that it calms my nerves and it's also helped me with toe cramps. I take magnesium along with my calcium all the time. It's good for my bones. I suffered from severe leg cramping at night. This product has helped me immensely!